With just hours left until voting ends for the NBA All-Star Game, a familiar face to the Philadelphia area has a message from across the globe. Will Smith wants fans to vote for Ben Simmons. During his appearance, the West Philadelphia native stumped for votes for Simmons to become Australia's first NBA All-Star. "Ben Simmons, that's my dude," Smith said. "Ben Simmons. All-Star Game. Philadelphia 76ers. We got to make it happen." There are many ways to vote, including on Twitter by using the hashtag #NBAVOTE and the first and last name, or Twitter handle, of the player. Voting is also available on NBA.com. Voting ends at 11:59:59 on January 15. "No. When you capture a moment in time, you've got to leave it alone," Smith said. 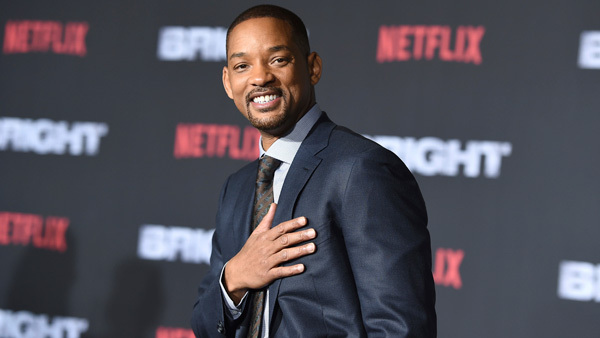 Will Smith says there will NEVER be a Fresh Prince of Bel Air reboot.